Initiated in 2007, the Participatory Epidemiology Network for Animal and Public Health (PENAPH) connects groups and individuals who apply PE methods in controlling emerging and existing diseases. 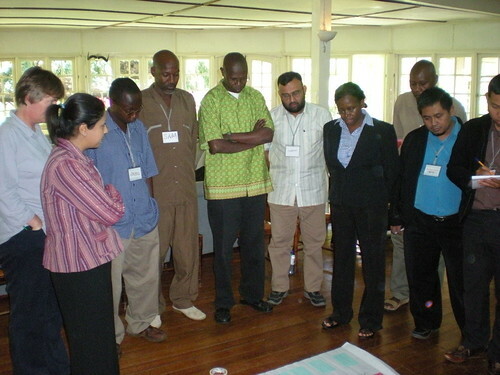 The concept arose as a result of applying participatory epidemiology to some of ILRI’s projects which bridge human and livestock health. With experience in PE, PDS and interests in promoting One Health approaches, the ten PENAPH partners are the World Organisation for Animal Health (OIE), Food and Agriculture Organisation of the United Nations (FAO), African Union Inter-African Bureau for Animal Resources (AU-IBAR), International Livestock Research Institute (ILRI), Royal Veterinary College of London University (RVC), Vétérinaires Sans Frontières-Belgium (VSF-B) and Veterinarians Without Borders-Canada (VWB-VSF-C), US Centers for Disease Control and Prevention (US-CDC), the African Field Epidemiology and Laboratory Network (AFENET) and Tufts Cummings School of Veterinary Medicine (TCSVM). 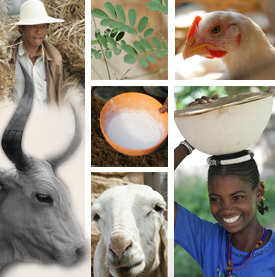 To improve livelihoods by contributing to solve the world’s most pressing health challenges. Maintain a network for participatory epidemiology engaging diverse stakeholders in identifying and solving the world’s most pressing health challenges. The Participatory Epidemiology Network for Animal and Public Health implements a program integrating targeted action research, policy enhancement and education. A focus for experts in participatory epidemiology from around the world, it nurtures collaborative research and diffusion of learning to speed detection of emerging or re-emerging diseases. As many diseases of public health concern are zoonoses often best detected and controlled in animals, emphasis is placed on building the capacity of veterinary and public health services and educational institutions.